So, I’ve been slow to join the coconut bacon bandwagon, but I have finally gotten round to making some today. My hands, well really the whole house, now smell of liquid smoke. If you haven’t eaten coconut bacon already, you’re in for a treat. It is not the same, but it is delicious in its own right. Smoky, sweet, salty and crunchy. I can see it getting plenty of use. Salads, pasta, sandwiches and scrambled tofu spring to mind. I went in search of a recipe for coconut bacon and started at The Post Punk Kitchen which directed me to a recipe here at Fettle Vegan. I think it could use even more smoke, so next time I am going to try the quite different recipe at Where’s the Beef? where Michael suggests not holding back on the liquid smoke! Still the one I made is excellent. My first use was to make a ‘Bacon’, Lettuce, Avocado and Tomato roll with some chipotle silken tofu mayo that I had made last week. The sourdough roll was still warm, the avocado and tomato perfectly ripe. Add the crunch of lettuce, the sweet salty smoke of the bacon and chilli whack of the mayo, perfect. Sheer deliciousness (and gluttony) made me eat two of them! Honestly, resistance is useless. An actual recipe would be nice rather than a narrative. Hi Chris I figured people know how to make a BLAT. The only part that needs a recipe is the coconut bacon. 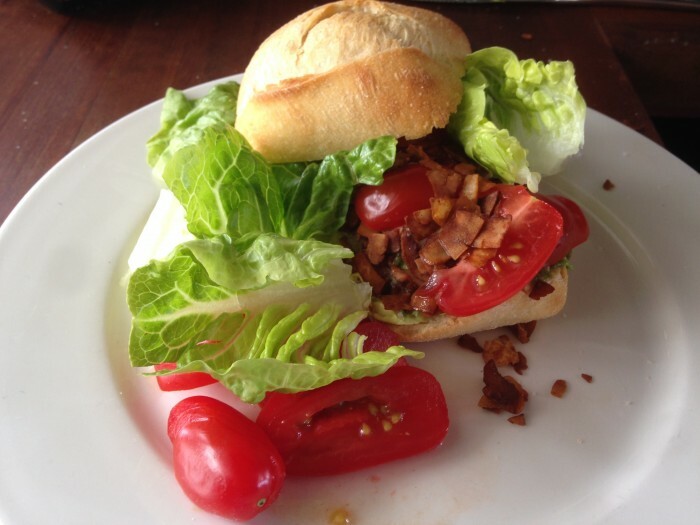 I have put a link in the post to a coconut bacon recipe I used rather than reproduce it. I’ve edited the post to make the link a bit more prominent. I post recipes where I feel I have either created them or improved on another recipe. In this case I used the linked one directly.